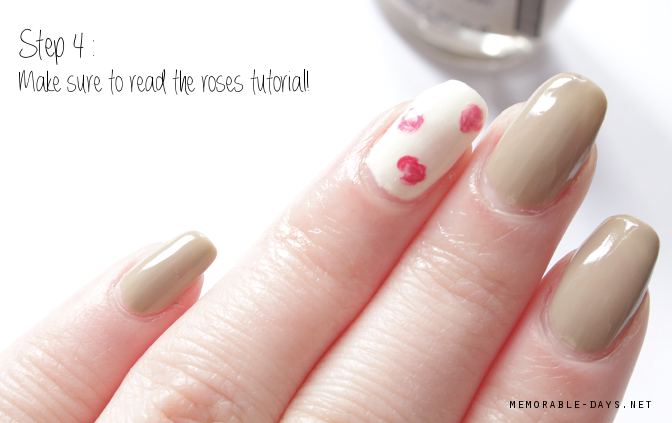 Tutorial: Spring Roses Nail art - Bornprettystore | Memorable Days : Beauty Blog - Korean Beauty, European, American Product Reviews. The picture below looks like a picture from tumblr or something haha, but its not ^^! I took this picture myself and I've created this nail art myself as well. 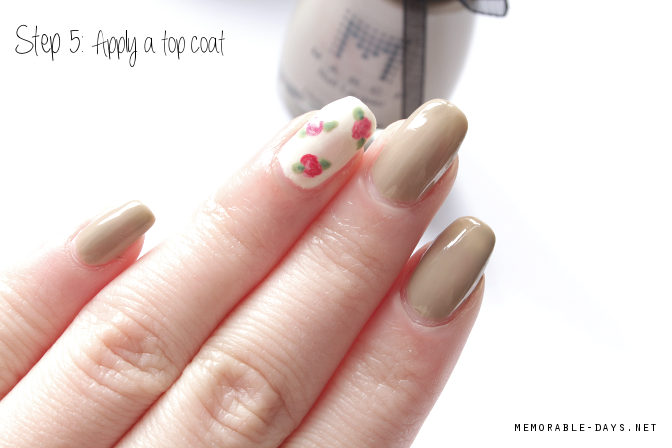 Today I will show you how i've created this Spring nail art, make sure to keep on reading for the tutorial! WHAT DO YOU NEED AND WHERE TO PURCHASE? You can purchase all of the above products at bornprettystore.com. They offer worldwide free shipping and the price is extremely cheap for great quality, so make sure to check their assortment out! Feel free to use my coupon code: MDJ61 to get 10% off at checkout! Step 1 : Apply a base coat on all of your nails and let it dry. Step 2 : Apply a grey or light brown nail polish on all fingers, except on your ring finger and thumb. Let it dry. Step 3 : Apply a white nail polish on your ring finger and thumb. Let it dry. Step 4 : Follow this tutorial to create roses: link to the blogpost. I've used a red and white nail polish to create the roses that you see below. Step 5: If you have followed the roses tutorial correctly, your roses should look like this (see picture below). I've created leaves with a light and dark green nail polish. When its all dry, apply a top coat on the ring and thumb finger. Step 6 : Apply a top coat on the other fingers, one by one, and while its wet apply pearl beads.